There are currently 35,525 users on this website. To me it's weak. It's not deep or wide like all the other edge lettering I have seen. It's on Sacagawea 2010 D position A. 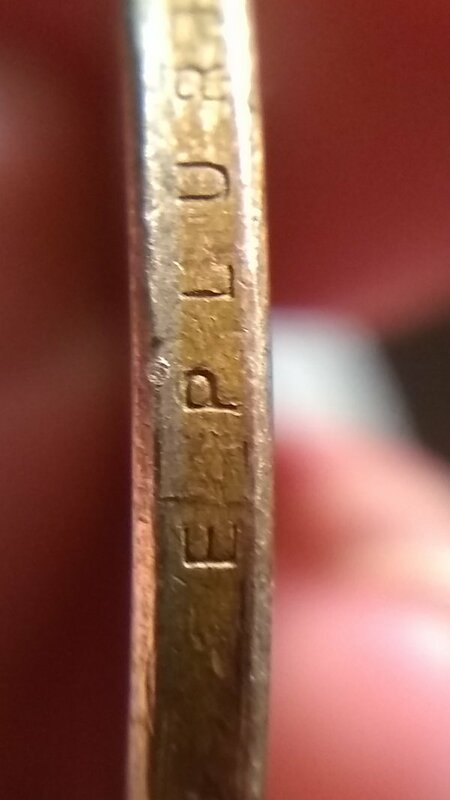 @TS12, I don't know enough about this subject to be able to help you, but I wonder if you might post the edge lettering for a more typical coin? I would be interested to see the difference that you are seeing just to learn about this. Thx. They look weak. I am wondering if circulation wear did it? both are circulation. I thought the same but questioned it because the depth and width both are smaller. Thank you. Ok thx @ts12. The difference between the two is quite obvious. I'll be interested to see what others think as we don't get asked this question very often. My thinking is segmented collars were used on proof strikes. One piece collars were used on the rest. Not having much luck researching collar design varieties. 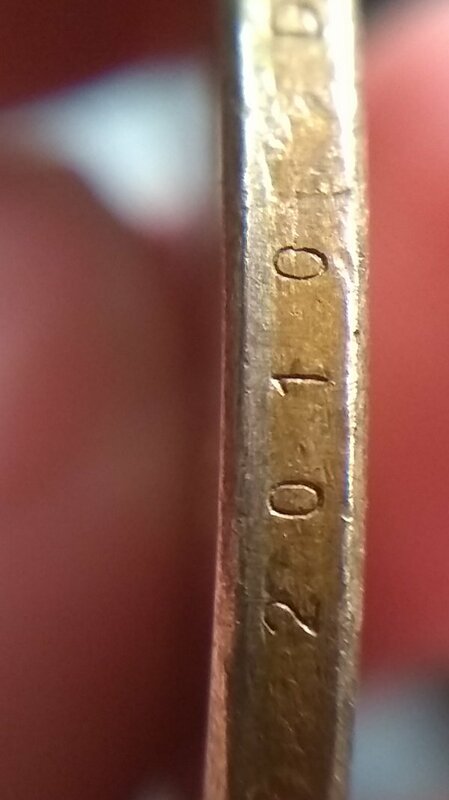 If I saw reduced incused devices such as this on the obverse or reverse dies, my first thoughts would lean towards a doubled die. Again note I'm not to familiar with how many different collars were in production nor the making of the collars bearing design elements. Unable to dig up much info on that yet. Seems Denver was producing normal strikes and SP strikes this year. Thanks, Doug. That is something I have always wondered too. Using the squinty eyeball method (usually only good for driver's license test) on the two coin picture, I tend to think there are two collars; one thin and one thick letter collar. Just a wild guess from the peanut gallery. The edges of the business strike NA and Presidential dollars are NOT made with segmented collars. It's more like how they create the upset rims on the planchets, the struck coin is rolled against a rotating edge die. The depth of the impression depends on how much pressure there is on the coin against the edge die. Getting the pressure right is tricky, too little yu get weak lettering and possible slipping resulting in improper or inconstant spacing of the letters. Too much pressure and you run the risk of the coin jamming and the rotation stopping causing the letters in the die carving a gouge in the edge instead of impressing lettering. So either too little pressure or too much results in bad edges.